I love homemade gifts and decorations, so you can imagine how excited I was when I found out you can make your own cookie ornaments. 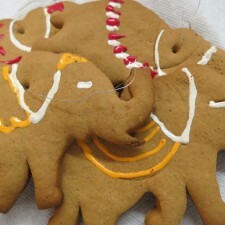 They are very simple to make and it was a lot of fun to decorate them afterwards! 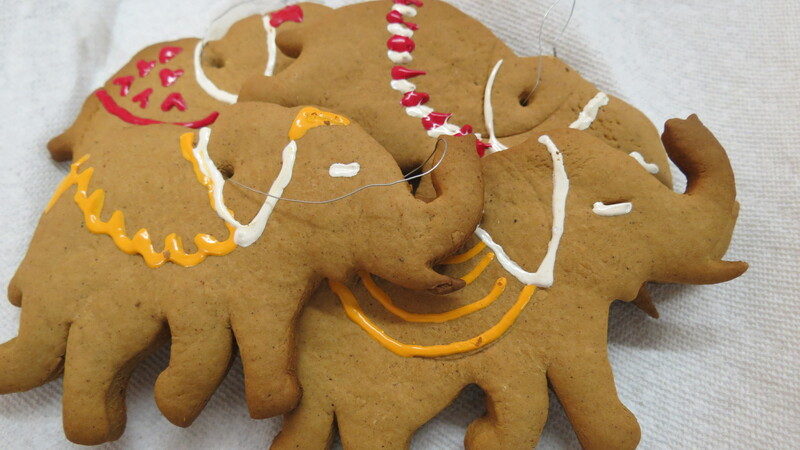 You can choose any shape you want for your ornaments, but I chose elephants! 1. In a medium bowl cream coconut oil, sugar and syrup. 2. Sift dry ingredients together; blend into creamed mixture. 4. Preheat oven to 350 degrees F. Roll dough on floured board to 1/8 inch thickness, cut with cookie cutter. 5. Take a toothpick and cut out a hole near the top of your cookie. You could also use a straw. 7. Bake for 8 to 10 minutes. Cool on wire racks. 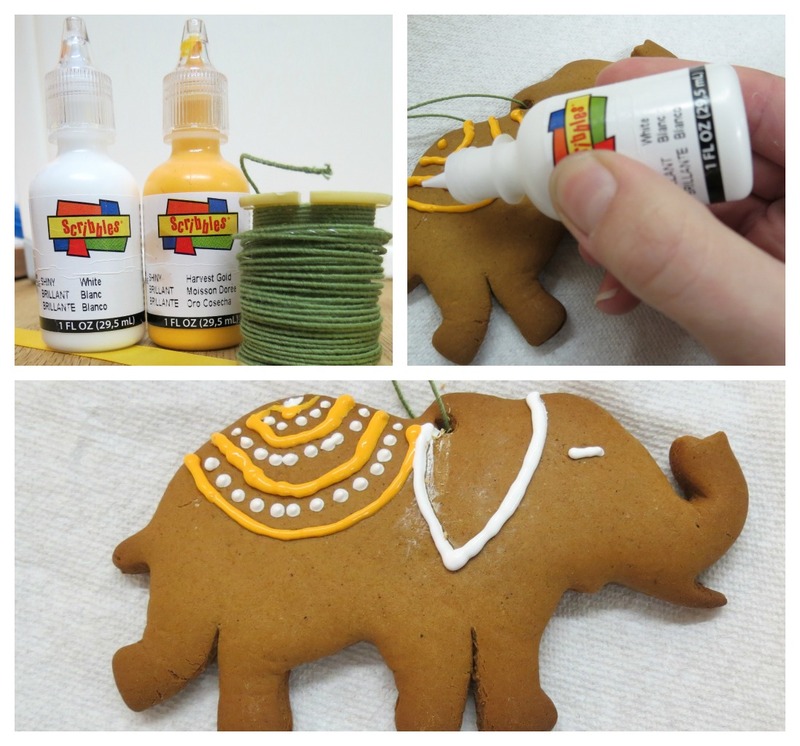 Once cookies have cooled, you will need to string your ornaments with ribbon or wire. 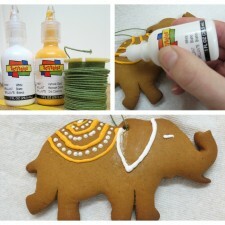 Then with the puffy paint, you can draw any design you want on your ornaments. Now, not only do I have cute gifts to give everyone, but they also smell fantastic! What are your favorite types of gifts?